Many of you have asked about my "bio" or background. I'm certainly no web-page designer, so my attempts to create this BIO page are not my forte'. coins and other memorabilia, so please bear with me as I try to create this page. 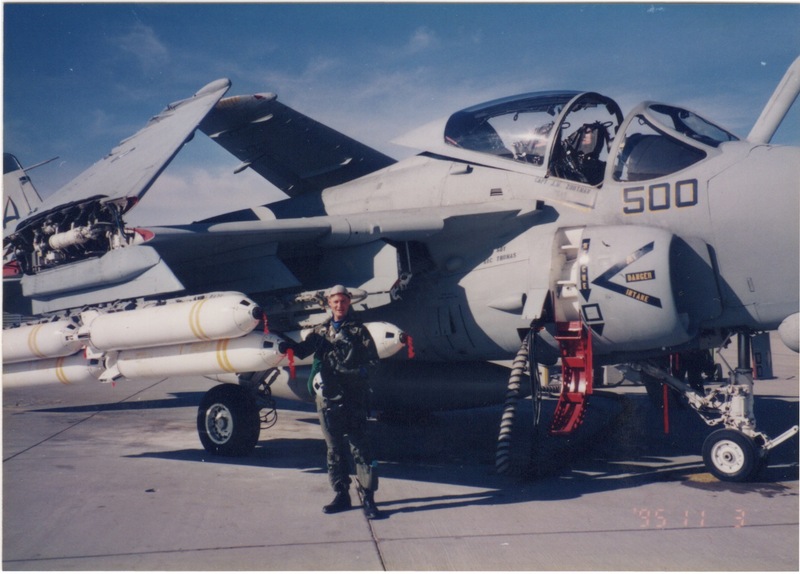 Hey everyone, this is me (circa '96) in the days of the venerable Intruder. 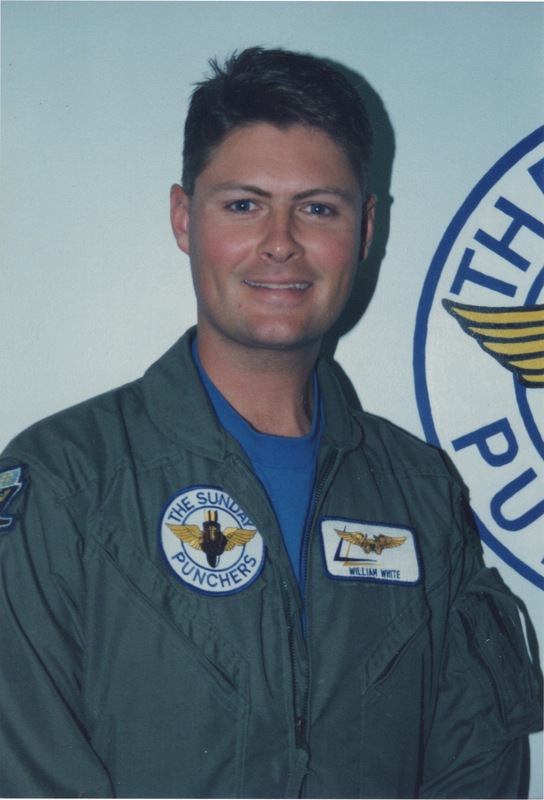 I was the last "B/N" to get to the Fleet in 1995 to the VA-75 Sunday Punchers. We decommissioned this squadron in 1997, so I had to find another plane to fly. Whitey in the A-6E Intruder. Here we are at El Centro (El Sweato), CA for a bombing exercise. I'm preflighting the mighty A-6E Intruder with a load of 12 MK-20 Rockeyes, each with 247 little friends inside each cannister!! Was an amazing drop!! This is with one of the best pilots ever...."Round-boy"! 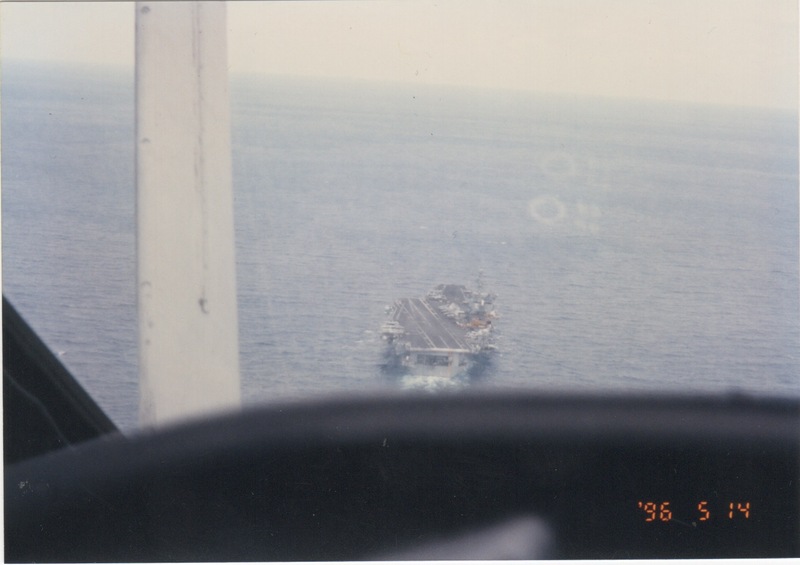 It was on approach (daytime) to the USS Enterprise when we were in the Persian Gulf. Here we are, the WFFFFRs of the 336FS. 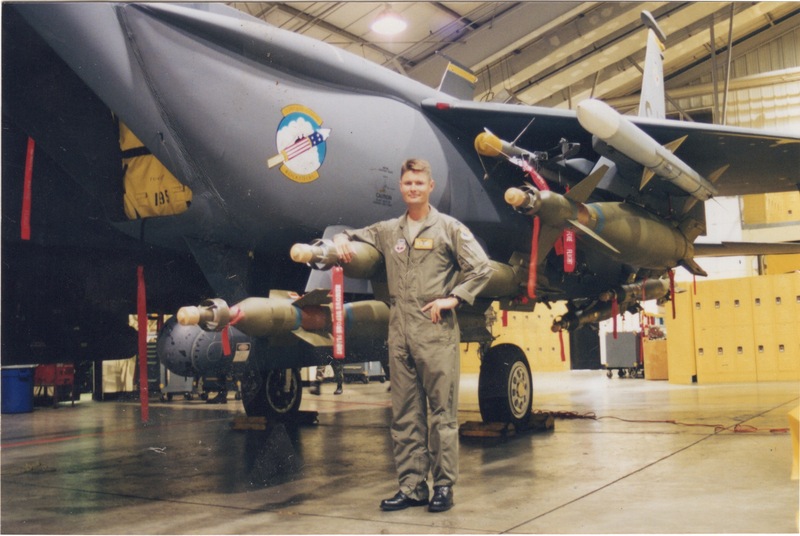 After Intruders decommissioned, I was fortunate enough to receive an "Exchange Tour" with the USAF flying as an F-15E WSO. 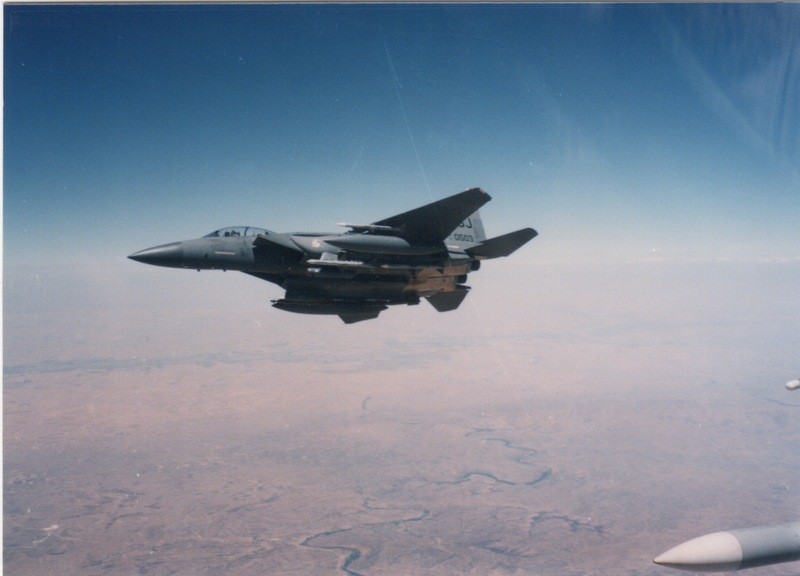 This is us coming back from an ONW sortie, carrying live weapons (AGM-88s and GBU-12s). Was a great 3-year tour with that bird! Here's one of our jets in the hangar being shown for a display loaded with all sorts of weapons. This was with the 336FS, a squadron flying one of the greatest aircraft ever built! 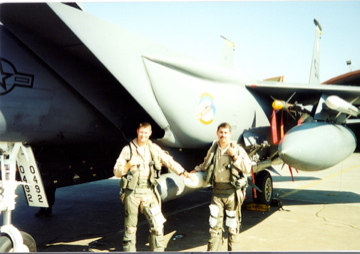 Preflighting for an Op Northern Watch sortie out of (an undisclosed base in) Turkey with one of the greatest pilots I've ever flown with......name withheld, but many of you know him!! When my "exchange tour" was complete, I got out of the Navy and joined the GA ANG. At that time, we were flying the B-1B Lancer. I was able to attend a great EWO school and then return to fly the Bone for only a couple of GREAT years. The Lancer is probably (now with the upgrades) one of the most versatile aircraft in the entire US inventory! Great capabilities now!! When the B-1Bs were taken away from the two Guard units (GA and KS) and returned to the active duty squadrons, we (GA ANG) transitioned to the E-8C Joint STARS. Great damn radar on that bird, and has a vital mission/role supporting the tactical units/ ground troops in theater. 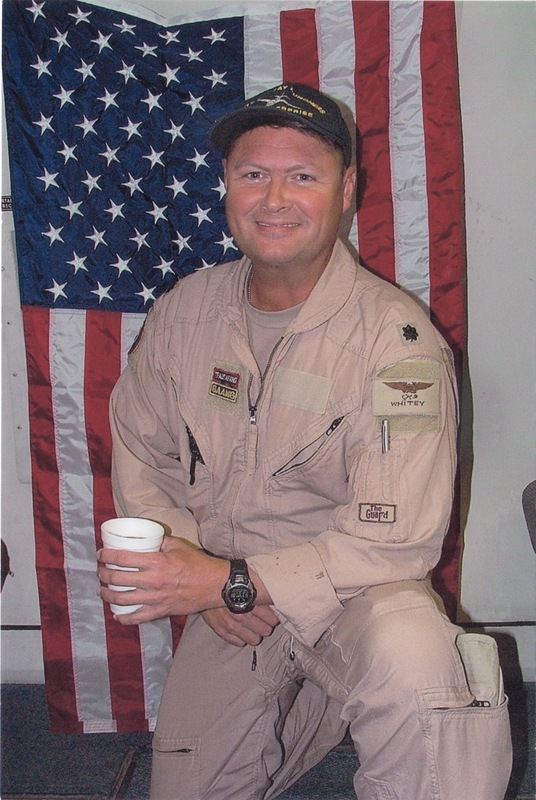 This is a pic of me as an Air Battle Manager (ABM) while over the skies of Afghanistan. Great job for a retired WSO! 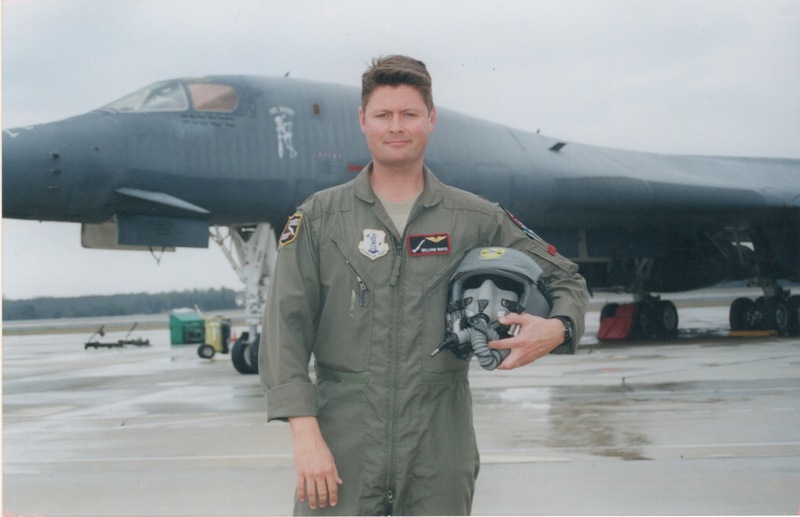 So as you can see, I was very fortunate to have been able to fly all 20+ years I served. I built this site back in '98 with QUIZMO, then we parted ways (and sites) due to geographic limitations when he went north and I went south. I am now back running the site, so I spend all my free time (outside of my regular job) trying to find the latest items you want. organizations (Disabled Vets, Masonic Children's Homes, and the local Boy Scout Troop). If I can be of assistance, please let me know!! the latest "look" technologically-wise, but is my feeble attempt to spend more time searching for what you need, not in it's presentation!